The Research Centre D.I.A.P.RE.M. 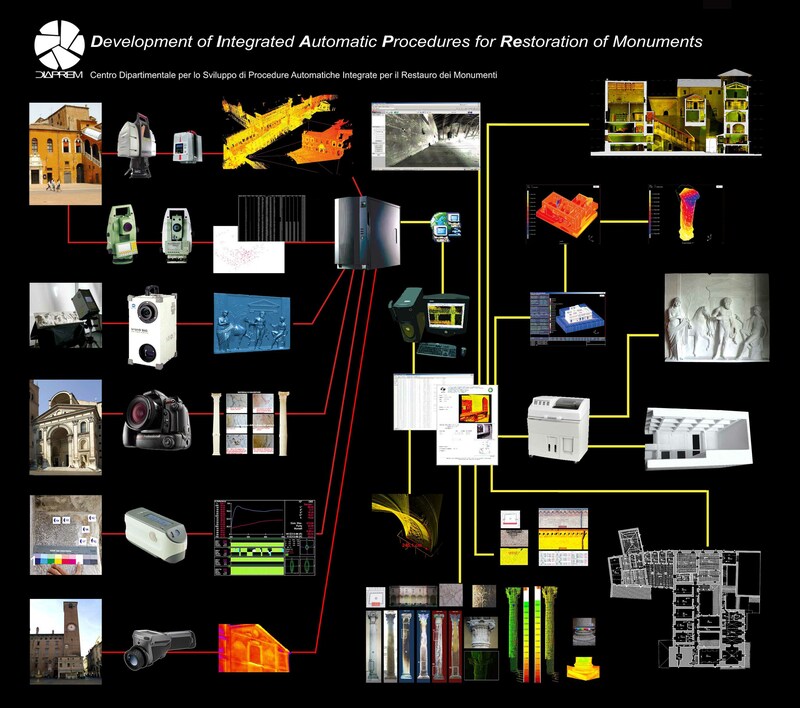 (Development of Integrated Automatic Procedures for Restoration of Monuments) related to the Department of Architecture of the University of Ferrara, deals with the development of methodologies and advanced technology for restoration based on the integration of specialistic areas of knowledge in the field, inter-disciplinary contributions and the best possible working procedures. 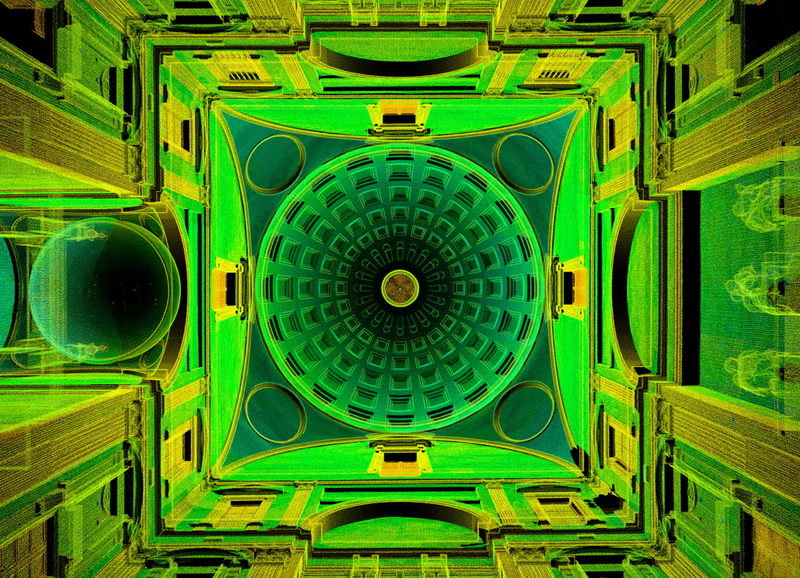 • Acquisition in three dimension of complex architecture and archaeological sites by means of laser scanners based on time-of-fly technology (Leica HDS 2500 and Leica HDS 3000) which rapidly supply a cloud of 3D points (about 1000/1600 points per second) with high precision (accurate to about 5-6 mm) and viewing ranges for monuments of up to 50 x 50 metres and for sites (viewing range up to 200 metres). 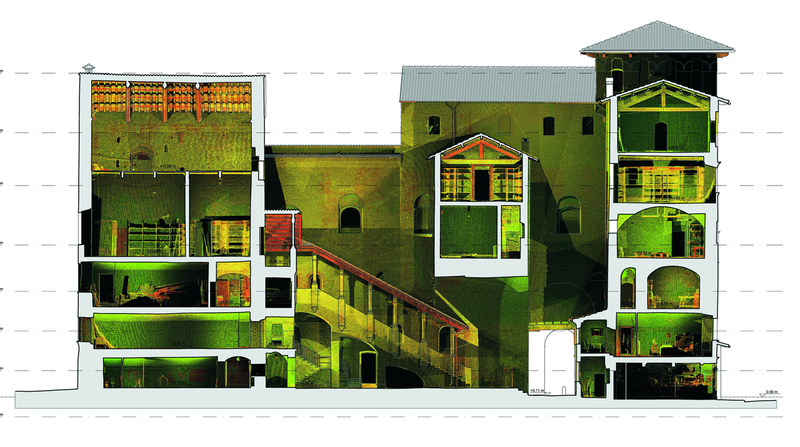 This methodologies and techniques have been applied in experimentation (both hardware and software) concerning restoration works in some of the main sites of Cultural Heritage, like the Colosseum and the Terme di Caracalla in Rome,the Insula del Centenario and the Insula dei Casti Amanti in Pompeii, the Arena in Verona, the Arch of Traiano in Benevento,the restoration laboratory of the Opificio delle Pietre Dure, the Ponte di Santa Trinita and the complex of San Lorenzo in Florence, the Baptistery of the Piazza dei Miracoli in Pisa, and in the major architectural sites of Ferrara (the Cathedral, the Church of San Carlo, the Castle of Belriguardo in Voghiera and the Delizia Estense of Gambulaga).